We’re meeting January 9th at 7pm at Tiffany’s (1537 Fox Chase Lane). Bring $5 (which if you’re lucky you’ll win back) and a snack to share. We’re meeting December 5th at 7pm at Tiffany’s (1537 Fox Chase Lane). Bring $5 (which if you’re lucky you’ll win back) and a snack to share. We’re meeting November 7 at 7pm at Tiffany’s (1537 Fox Chase Lane). Bring $5 (which if you’re lucky you’ll win back) and a snack to share. P.S. Due to the growing popularity of this event, we’re setting a max number of attendees to 16. If you RSVP and are unable to attend, please update your RSVP. Thanks! 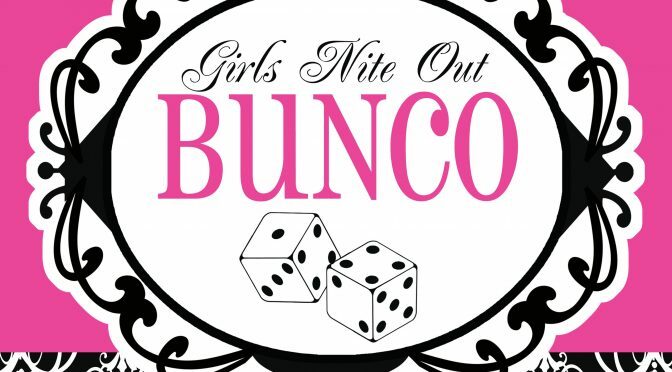 Bunco is the first Wednesday night of the month! We’re meeting September 5th at 7pm at Tiffany’s (1537 Fox Chase Lane). Bring $5 (which if you’re lucky you’ll win back) and a snack to share. 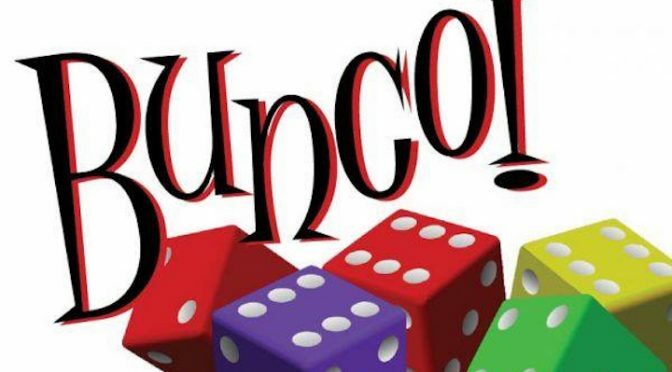 Bunco is the first Wednesday night of the month! We’re meeting June 6th at 7pm at Tiffany’s (1537 Fox Chase Lane). Bring $5 (which if you’re lucky you’ll win back) and a snack to share. Bunco is the first Wednesday night of the month! We’re meeting May 2nd at 7pm at Tiffany’s (1537 Fox Chase Lane). Bring $5 (which if you’re lucky you’ll win back) and a snack to share. Bunco is the first Wednesday night of the month! We’re meeting April 4th at 7pm at Gina’s (205 Seegar Rd). Bring $5 (which if you’re lucky you’ll win back) and a snack to share.